Big day today. 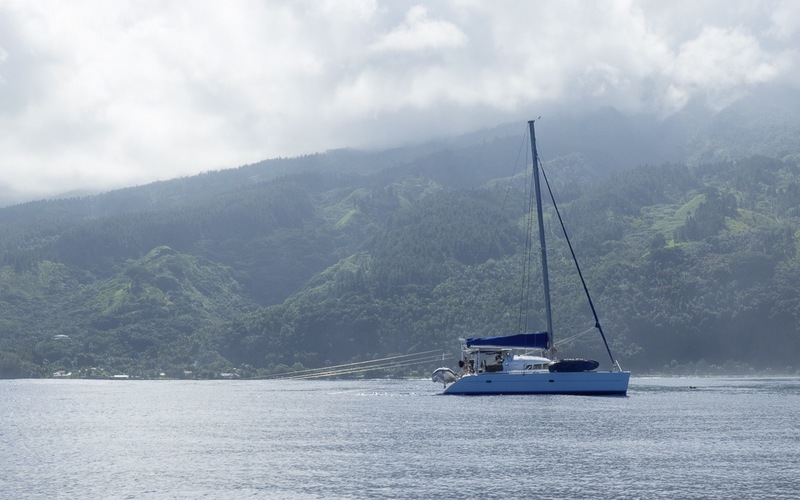 We left Papeete marina and headed down to Teahupoo! Teahupoo (pronounced cho-poo) is the most famous surf break in the world (according to my on-boat Google Gregory). It’s big and heavy and pumps out some of the most perfect barrels on the planet. At its finest it’s an absolute prize for pros to ride and a terrifying treat for the rest of us to watch. 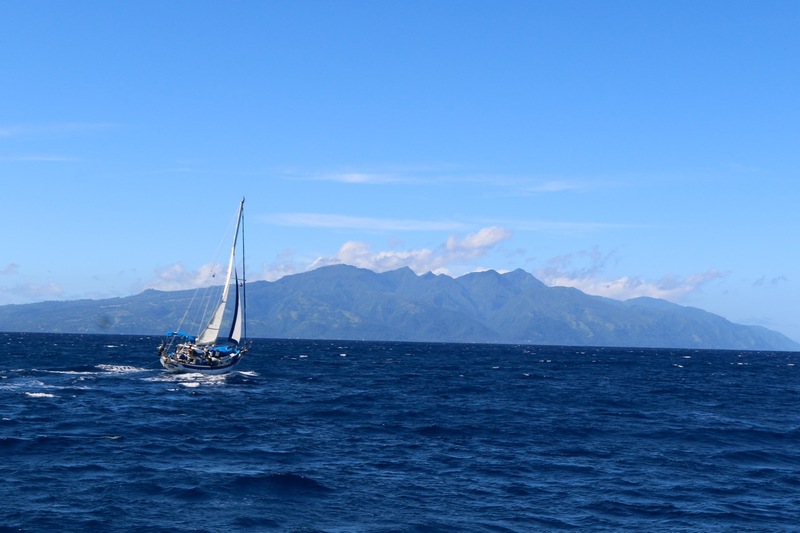 We left Papeete with reports that a 4 meter swell with 18 second periods was on its way. That’s near perfect, big-wave-riding conditions for the break. 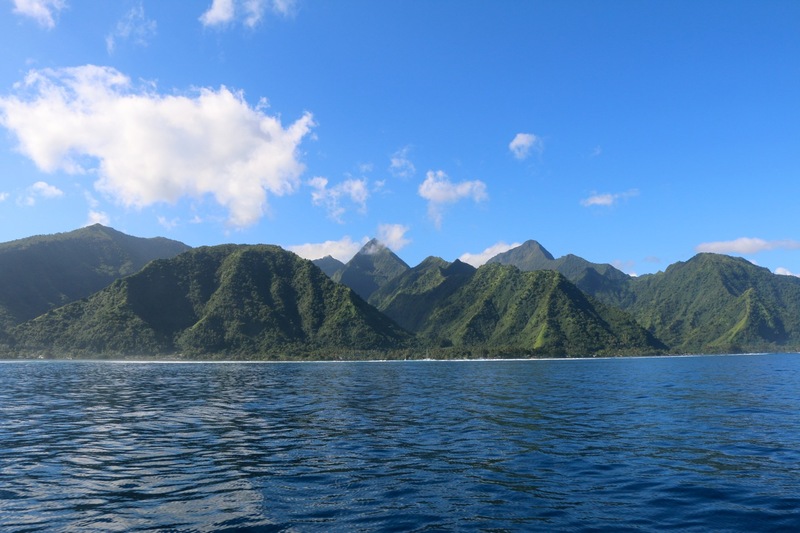 Long story short, there were a lot of excited people headed to the south side of Tahiti-iti for the show. Including the crews of Kuhela, Asgard, and Oceanna. 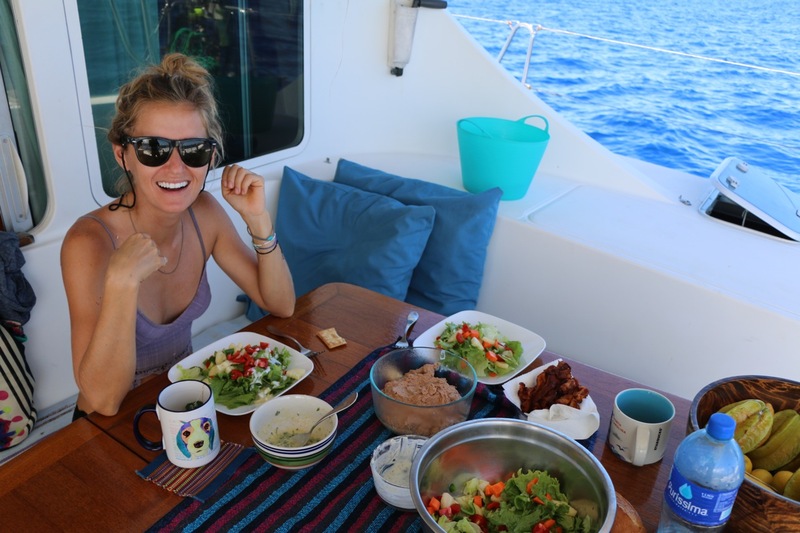 As if the anticipation of world-class waves wasn’t enough to fuel our high for the quick 50 mile passage down to Teahupoo, between Tahiti and Moorea we set eyes on our first humpback whale! 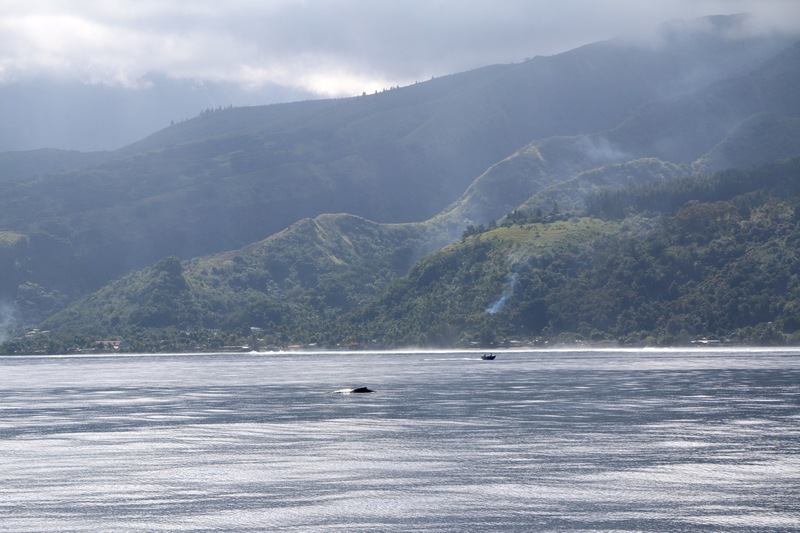 During the winter months here in the South Pacific, scores of humpback whales gather to breed. I recently read Leviathan, or the Whale by Philip Hoare and have a brand new appreciation for these gentle giants. The book is basically a love letter to the author’s most treasured obsession. It covers the history, biology, and social landscape of cetaceans. Yet with all this new knowledge somewhere between my ears, the spray of a blowhole or the breach of a tail reduces me to childlike glee. I holler and wave and scream and jump around. Come to think of it, whales for me are what dolphins are to my friend Melissa. Oceanna the fishing boat. As Kev says, “always be trolling”. 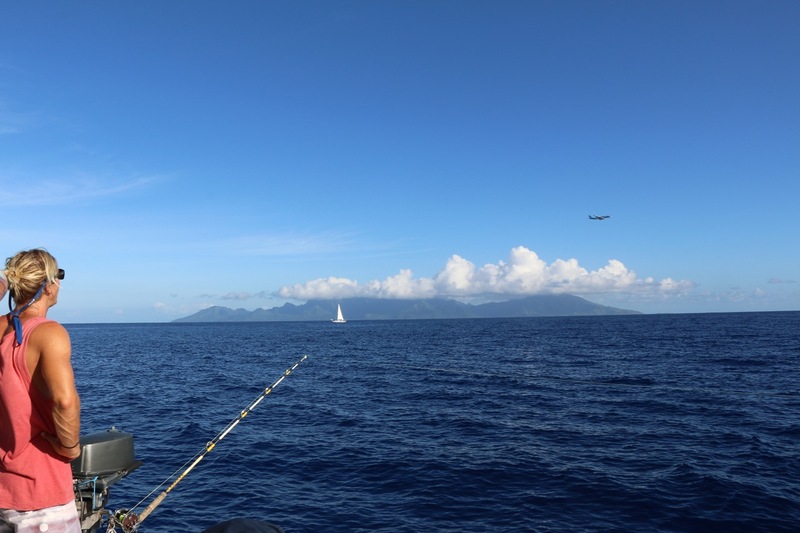 Planes and boats and Gregory and Moorea. I’m a wee bit excited!! 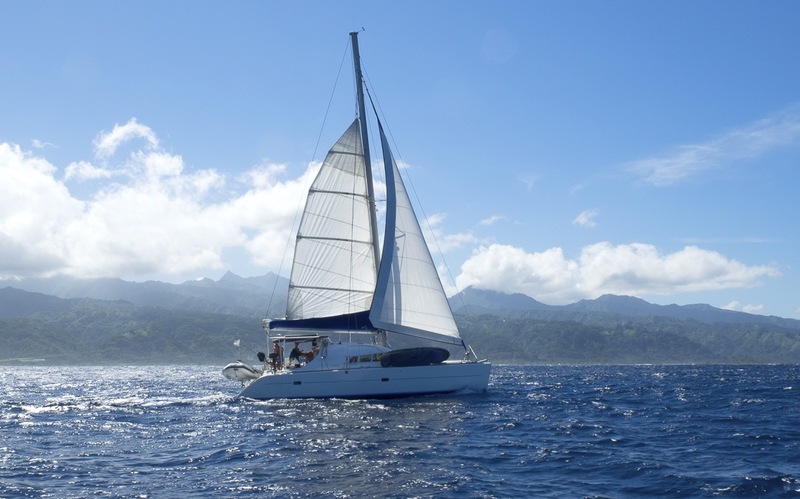 Check out that reef in the main sail. We’re limping our girl, treating her nice. Kuhela bombing down to Teahupoo with us. Getting my eyes on the new locale.